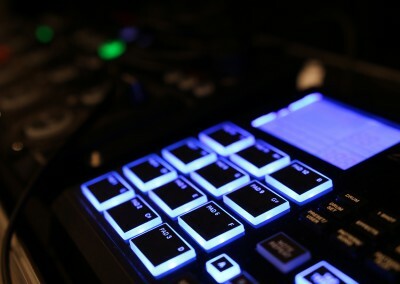 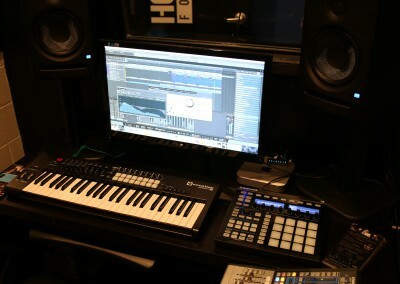 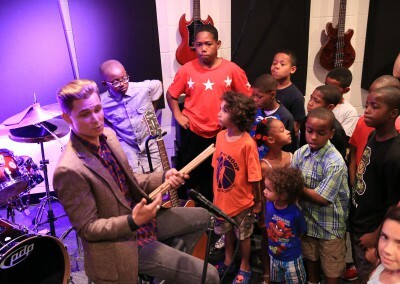 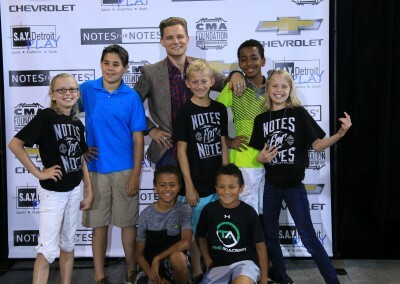 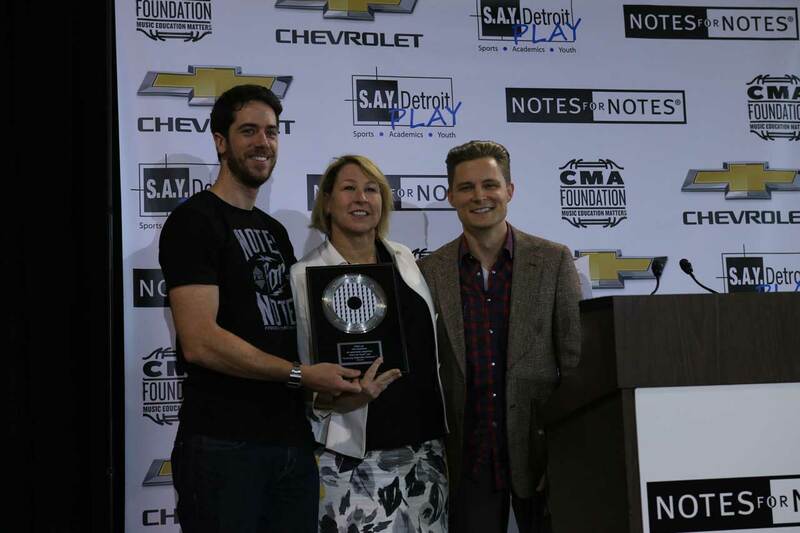 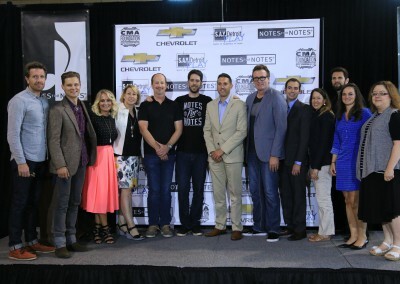 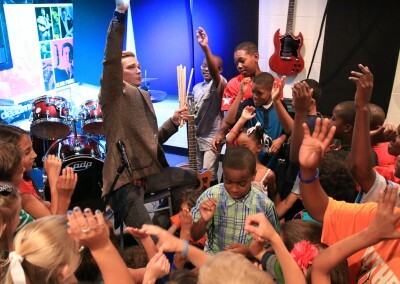 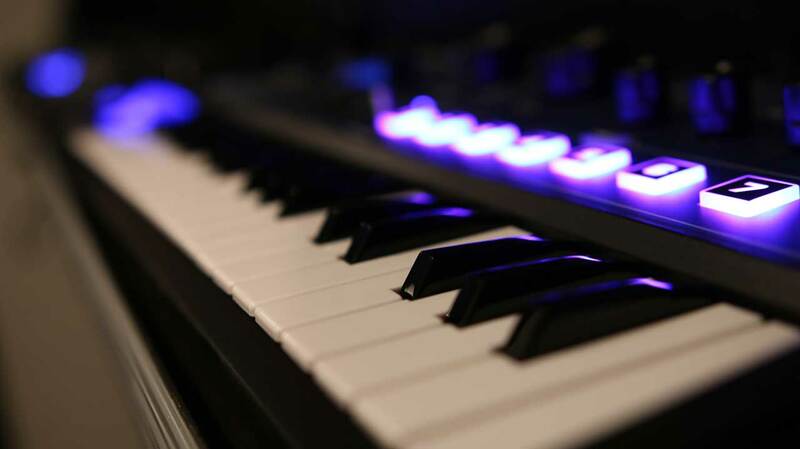 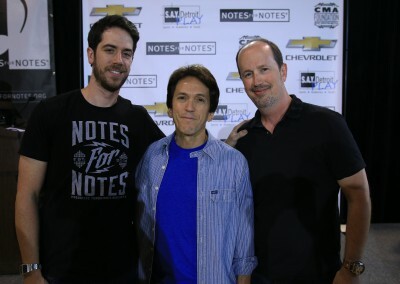 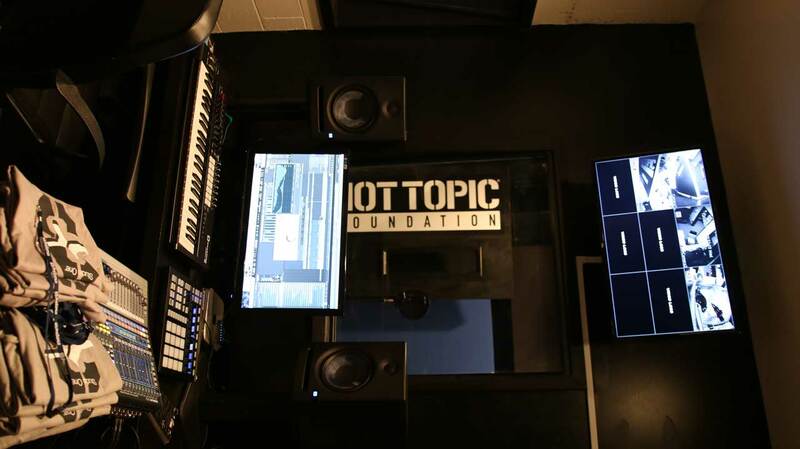 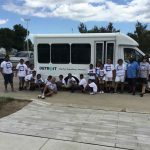 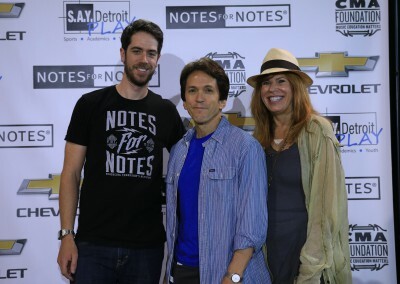 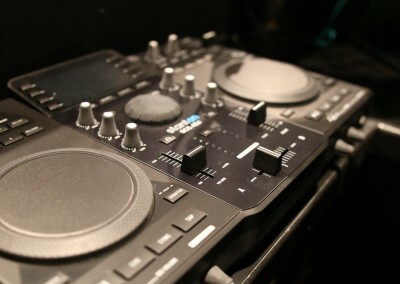 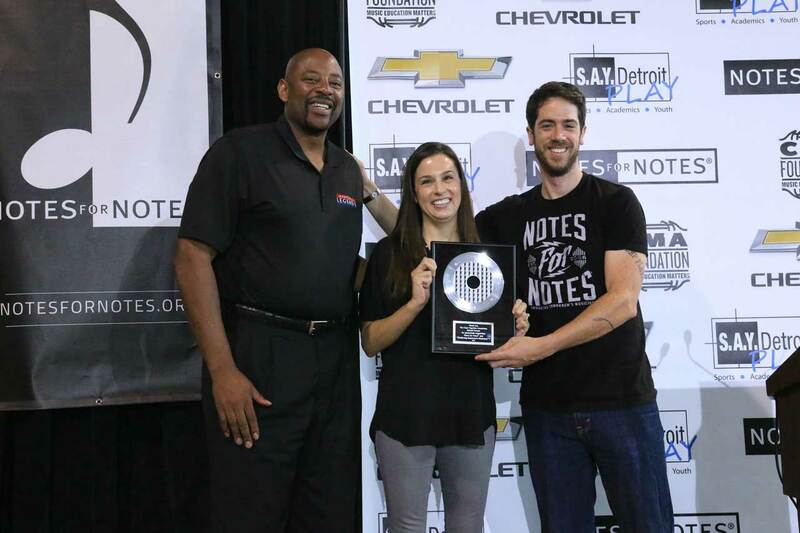 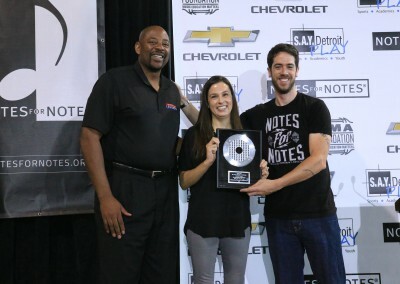 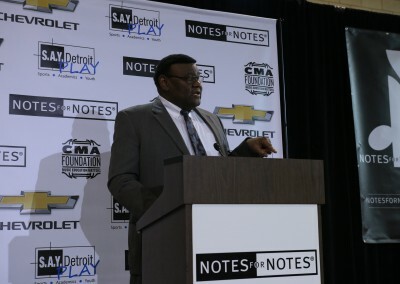 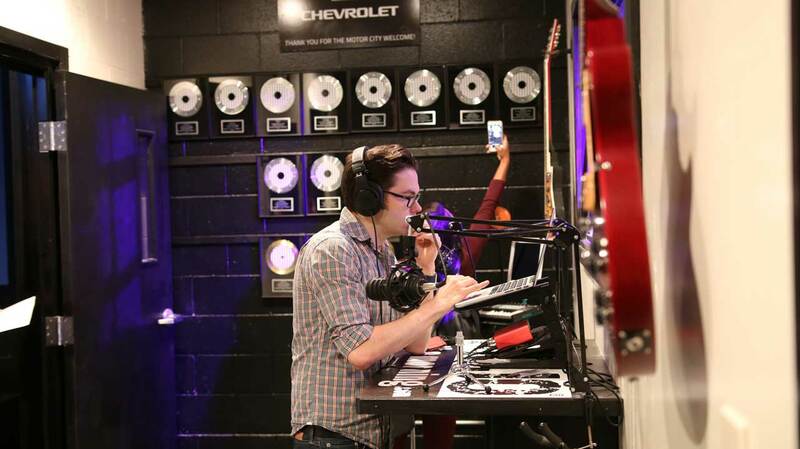 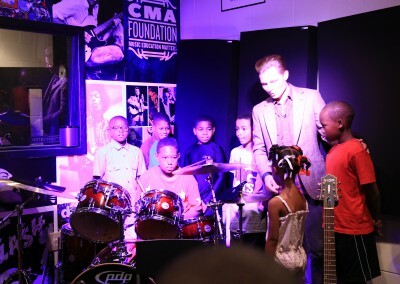 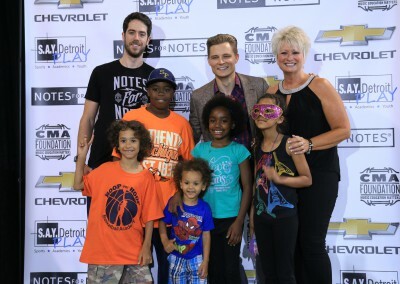 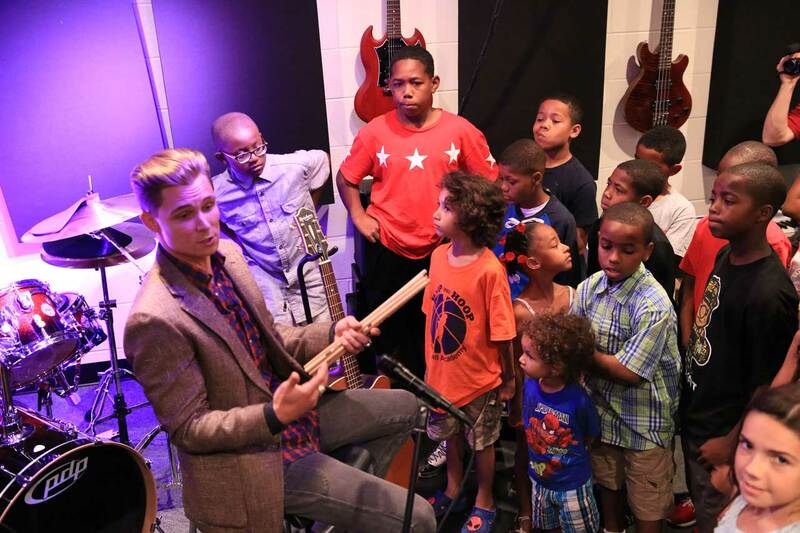 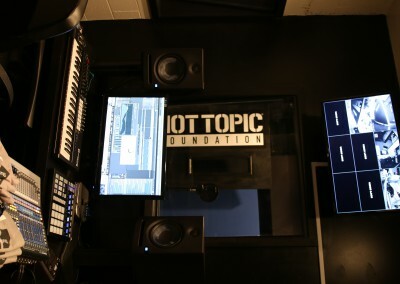 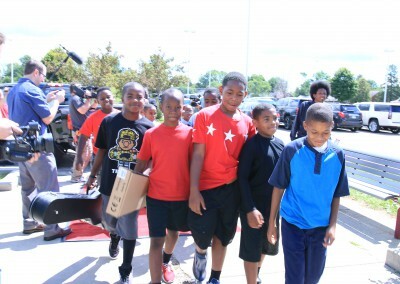 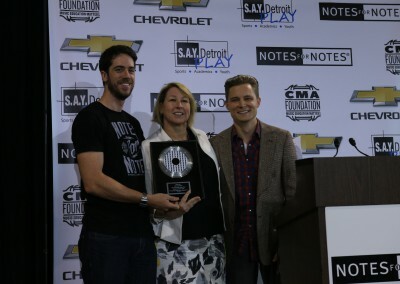 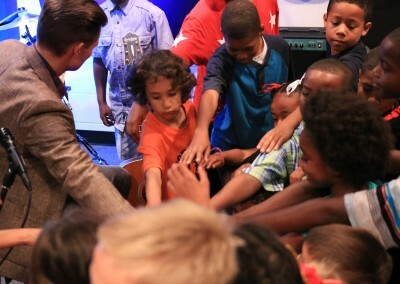 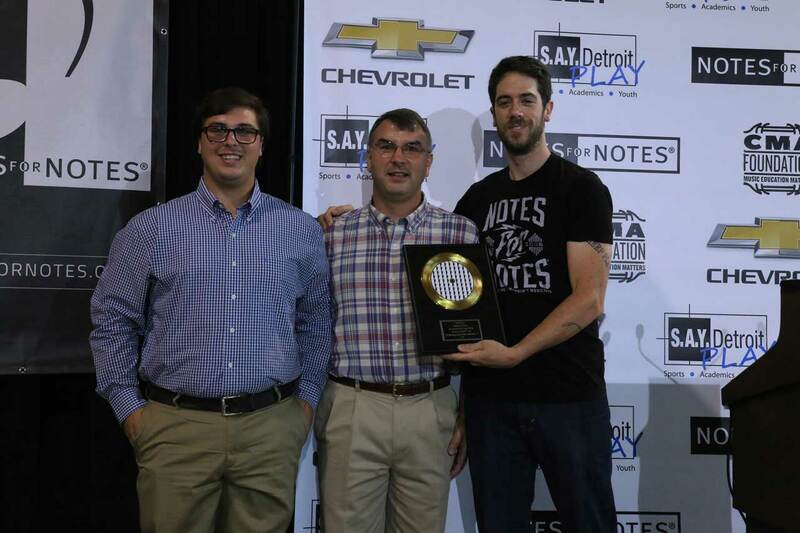 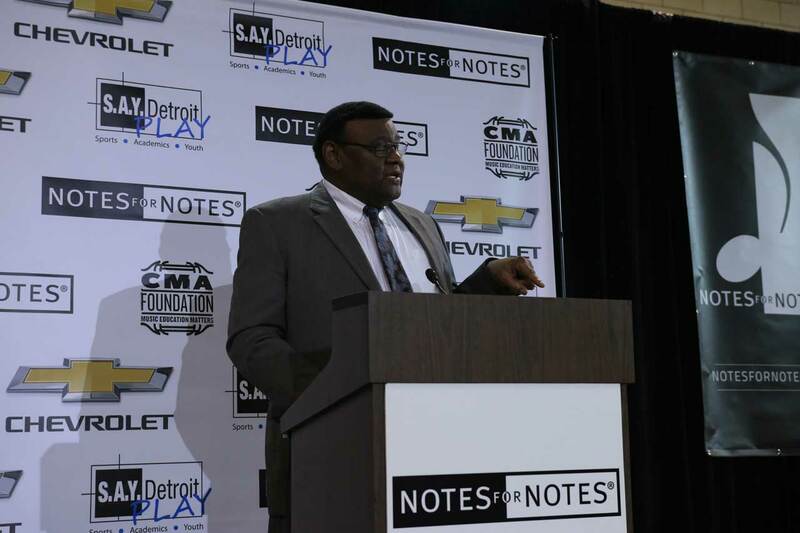 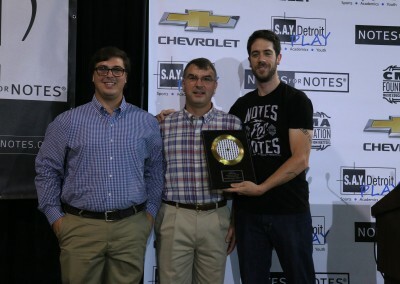 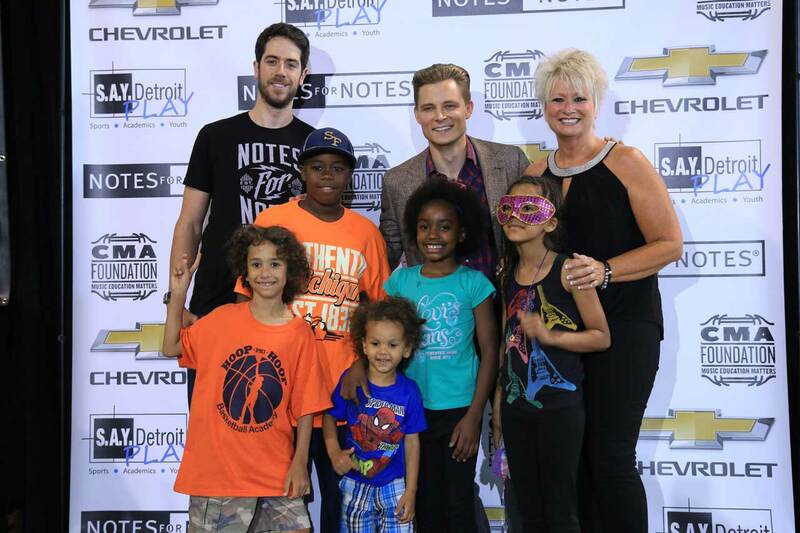 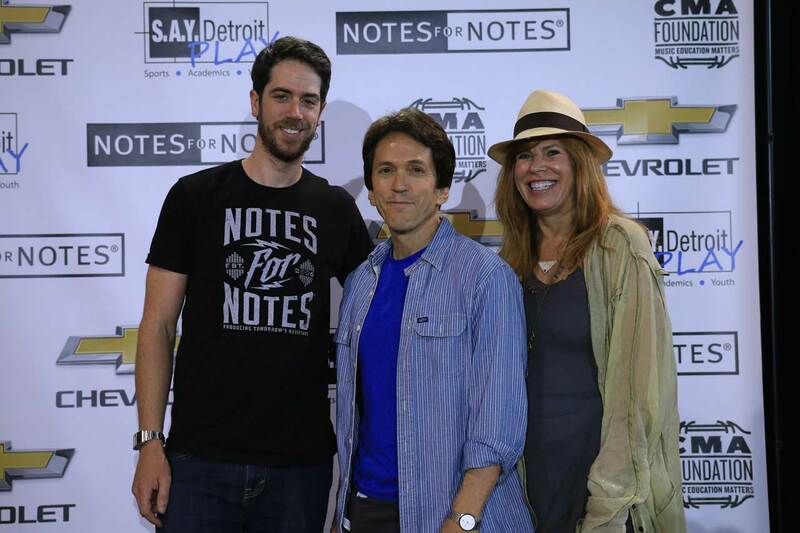 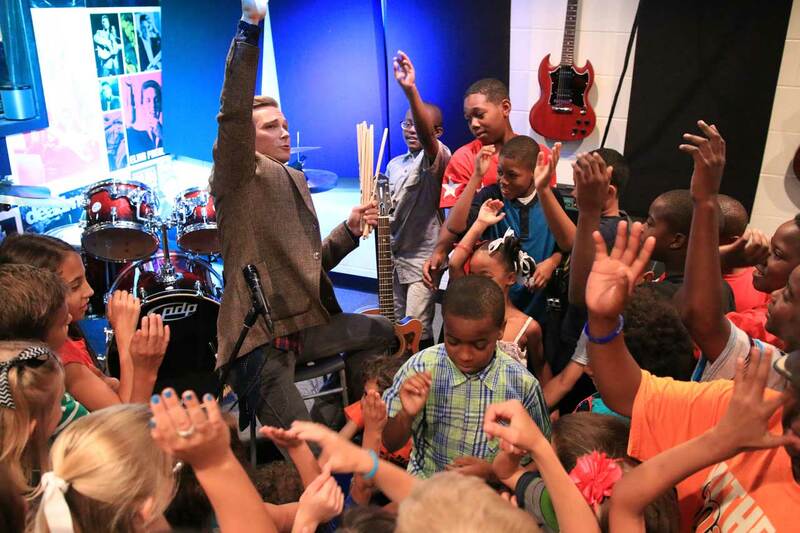 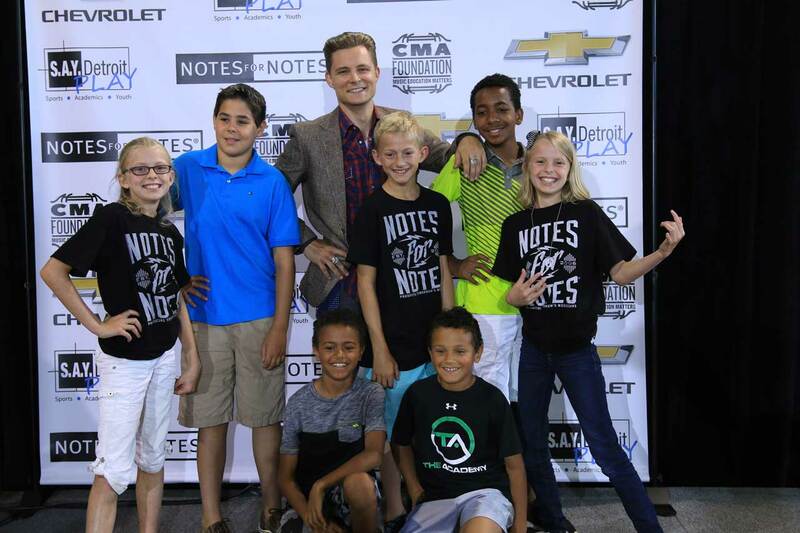 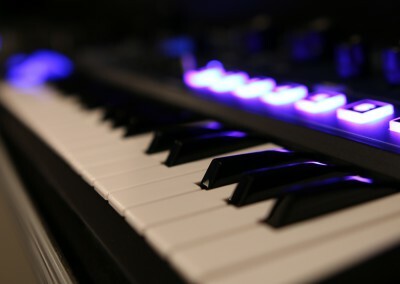 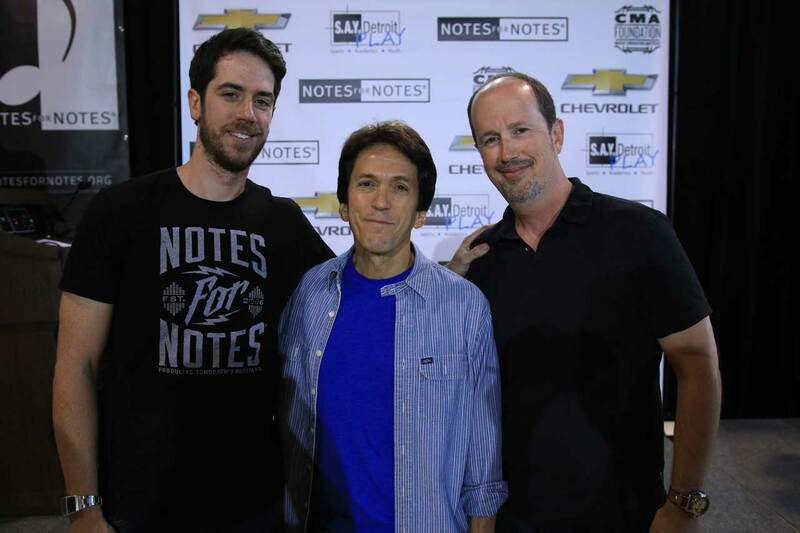 DETROIT, AUGUST 12–Notes for Notes, a non-profit organization which builds, equips, and staffs after-school recording studios, announced the completion of the studio inside the S.A.Y. Detroit Play Center. 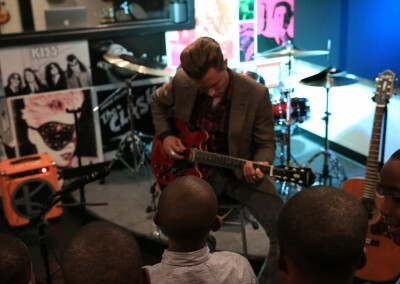 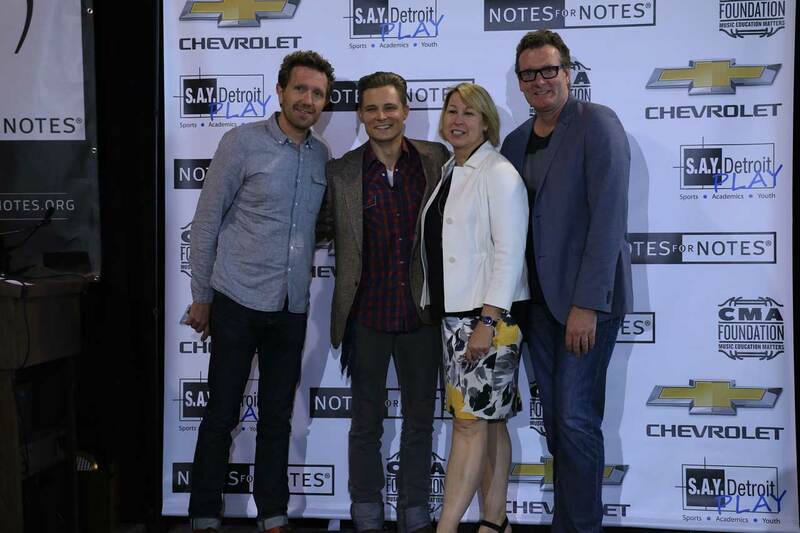 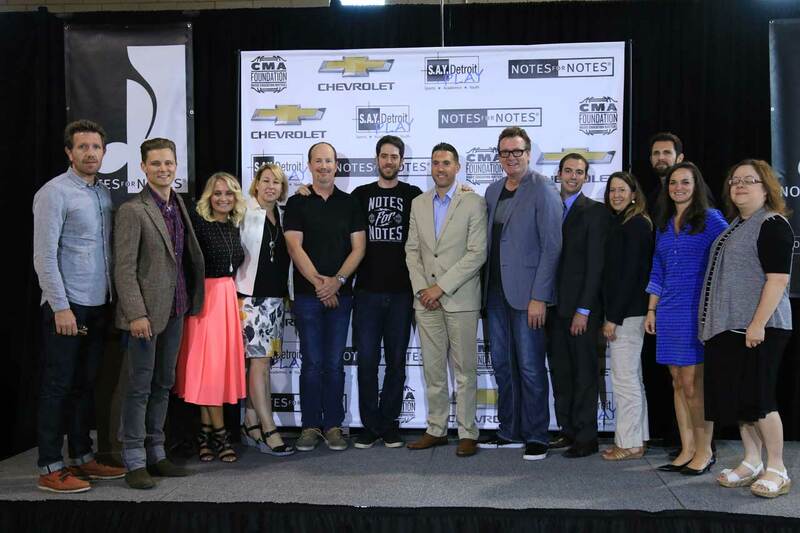 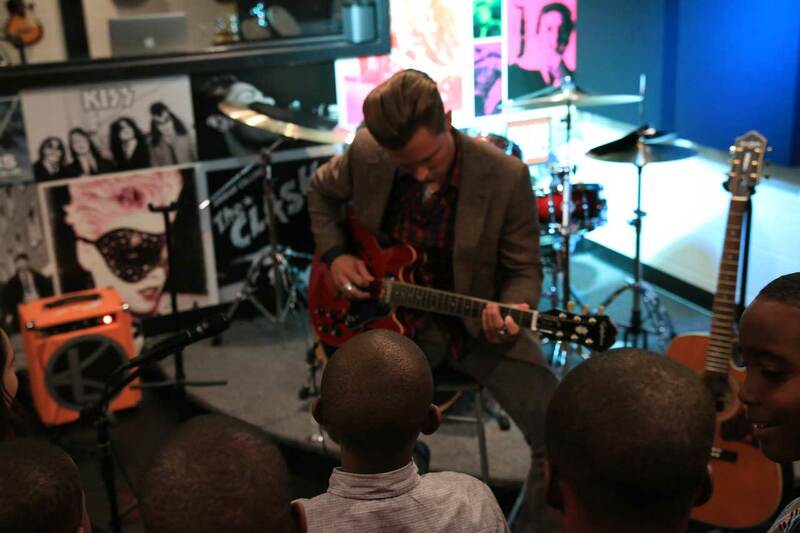 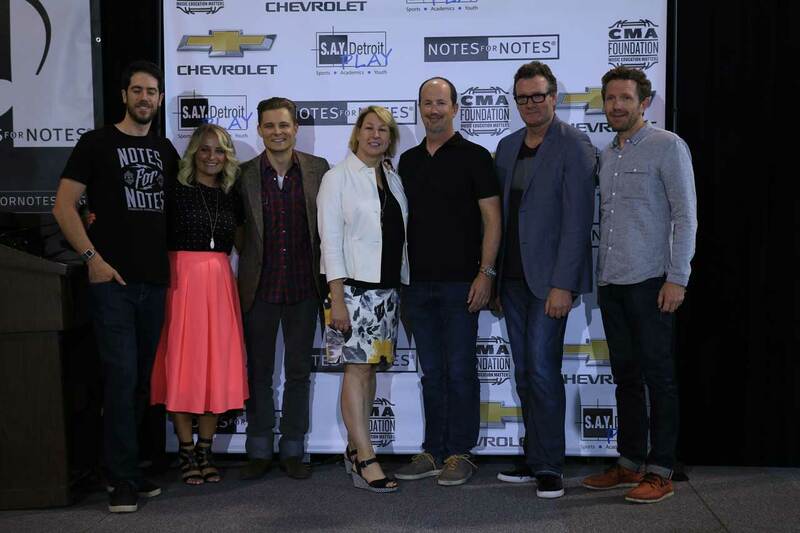 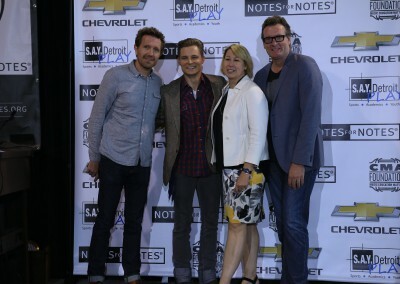 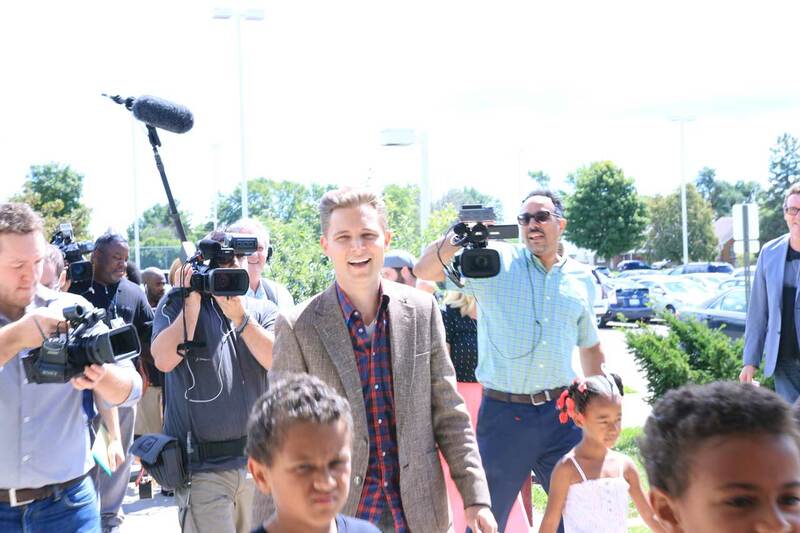 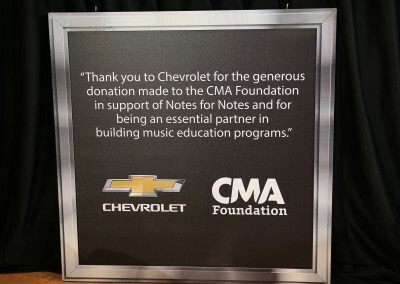 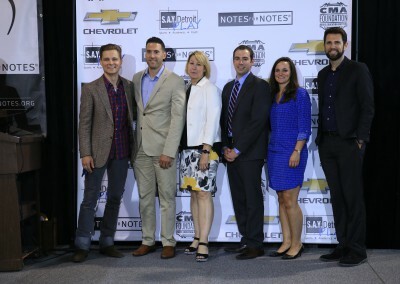 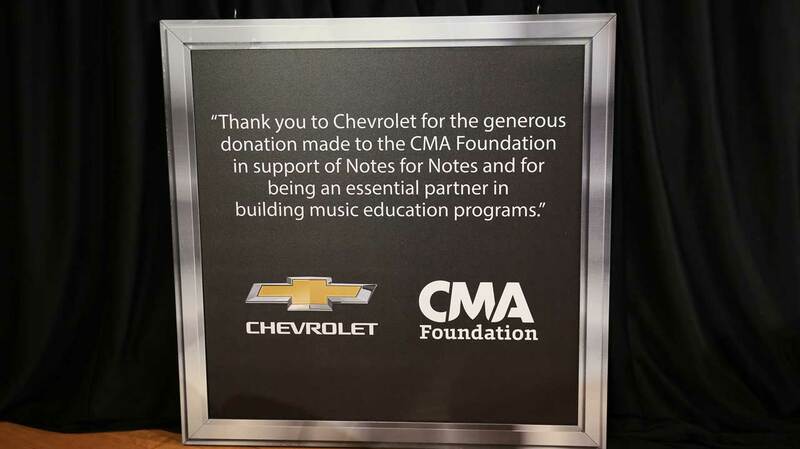 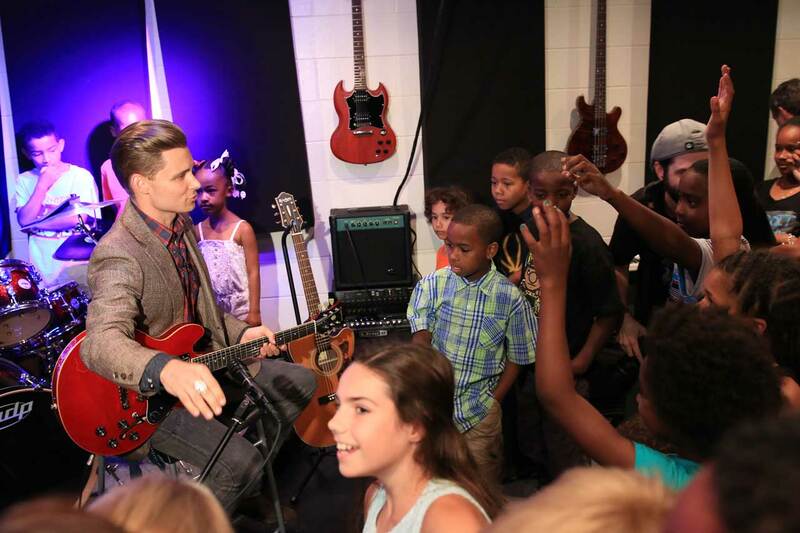 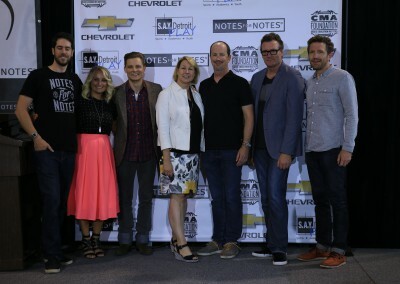 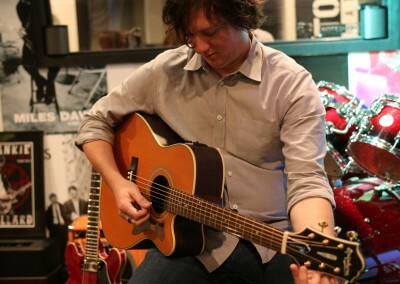 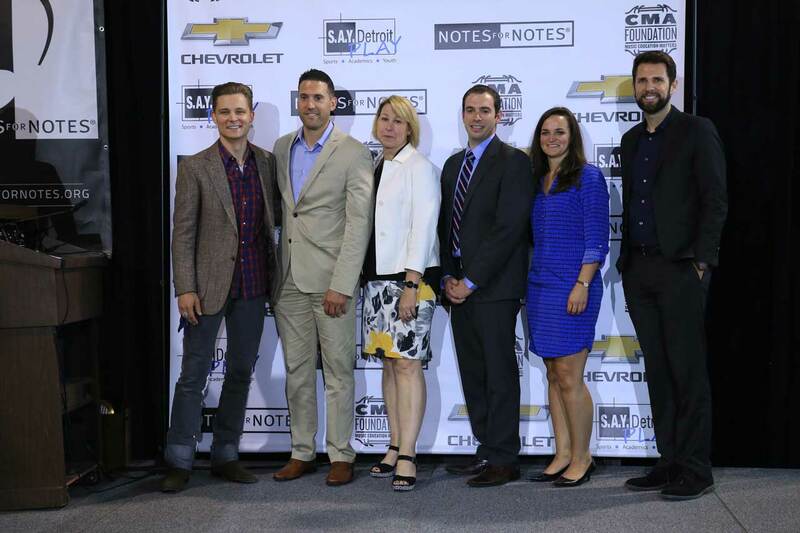 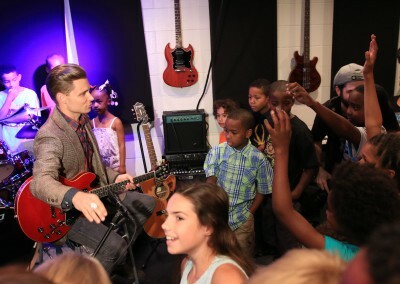 Nashville record artist, and Michigan native Frankie Ballard was on hand for the unveiling. 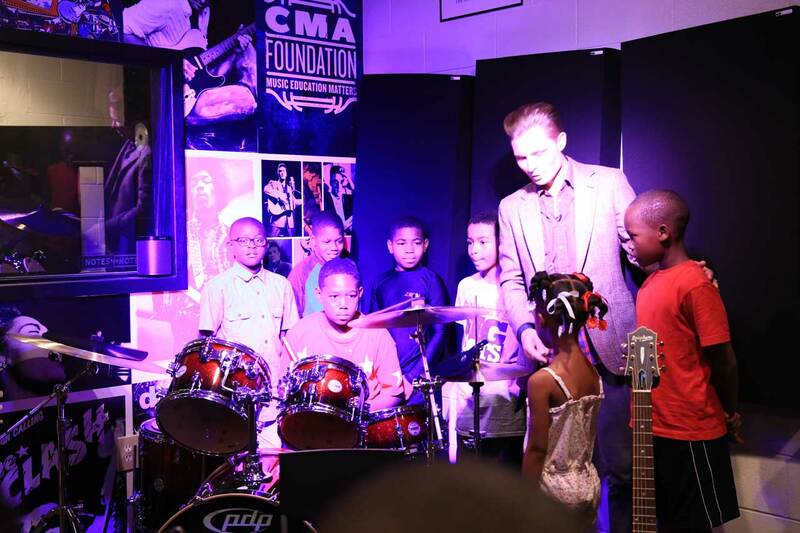 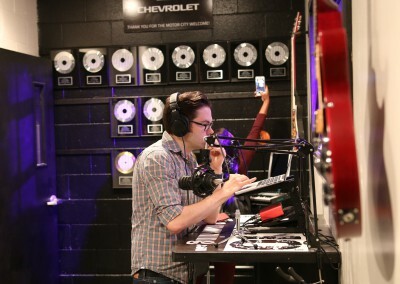 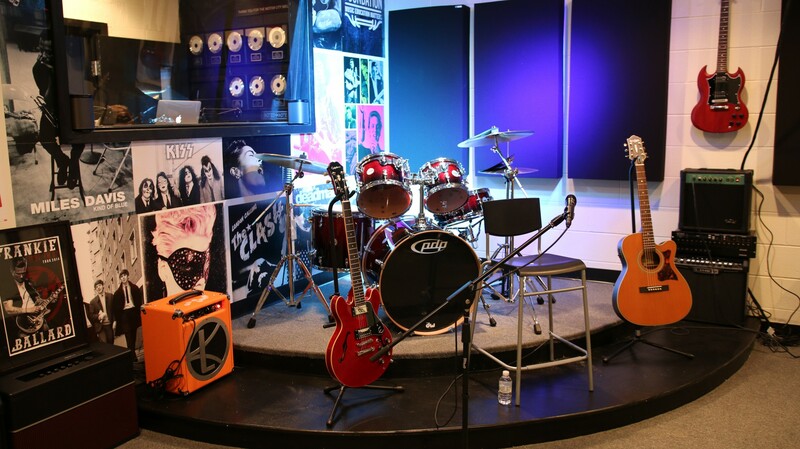 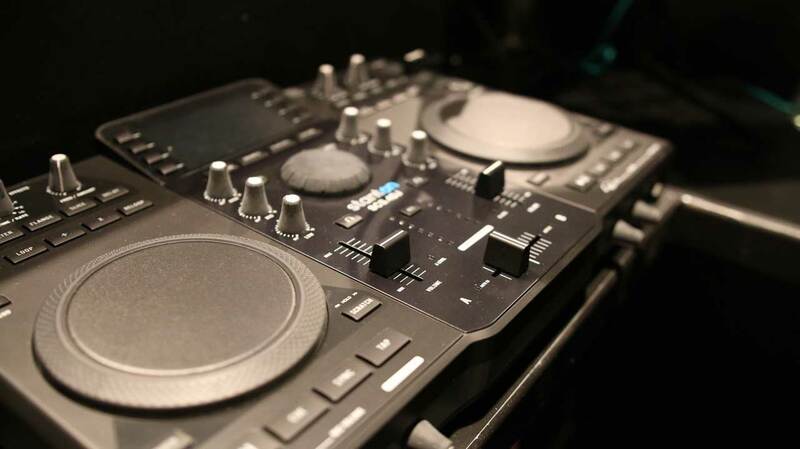 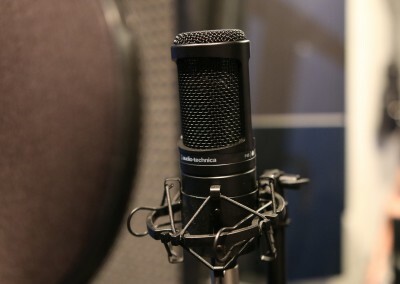 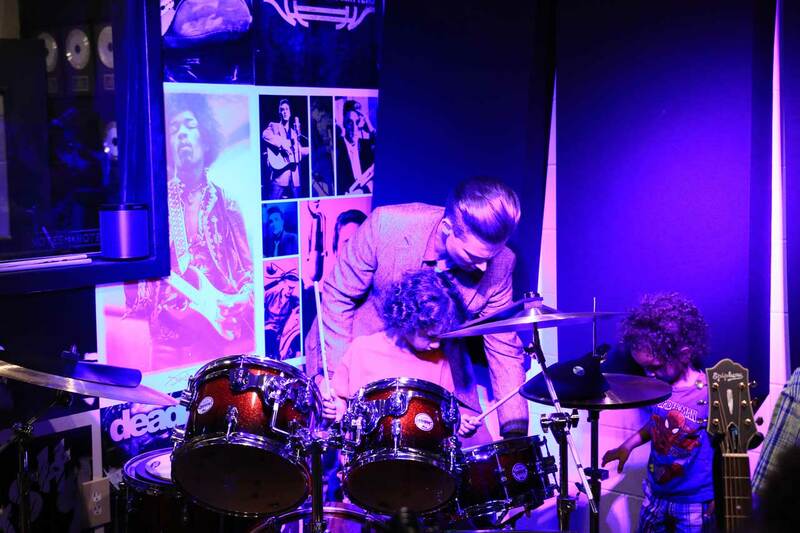 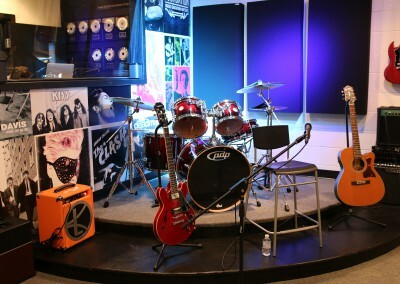 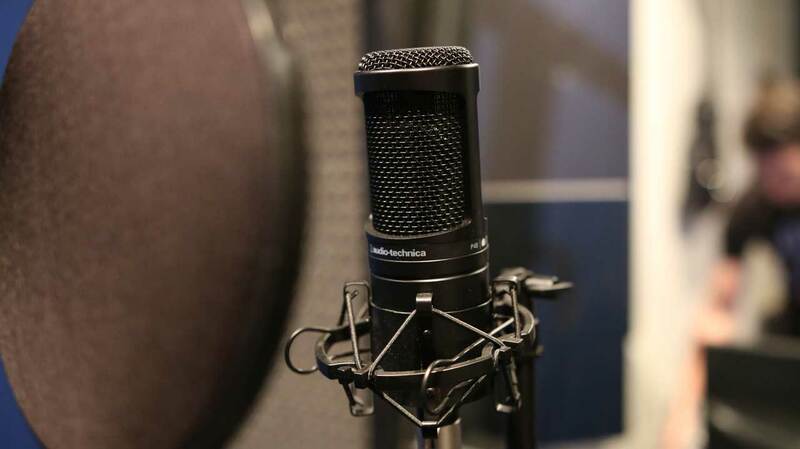 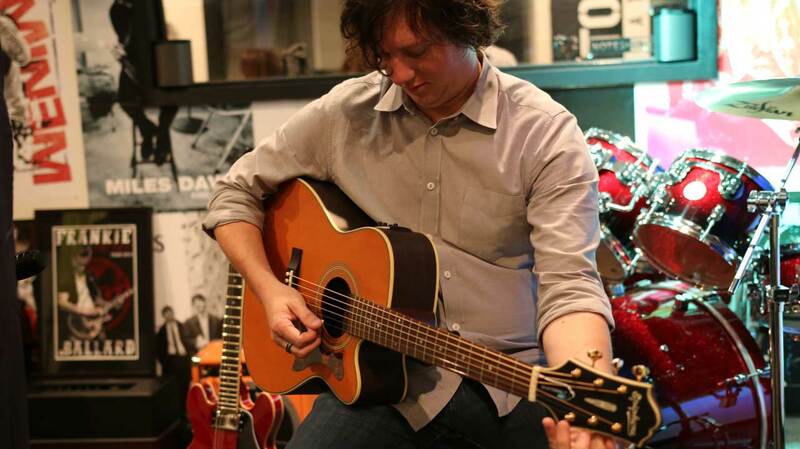 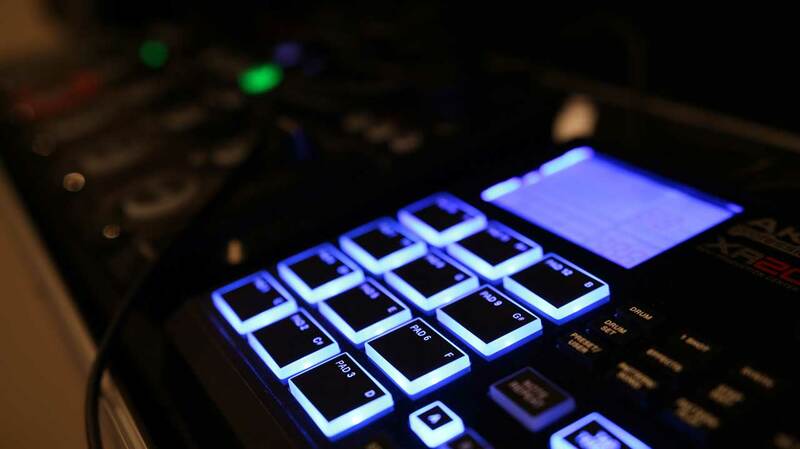 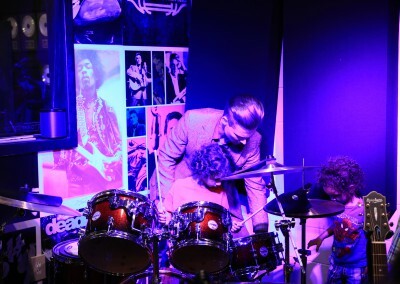 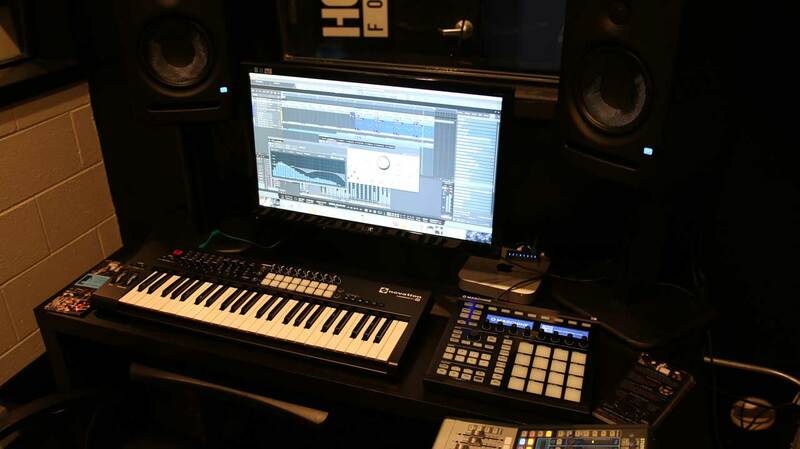 Packed with guitars, drums, keys/synths, DJ gear, digital music stations, the full recording studios offer youth completely FREE access to explore, create, and record music. 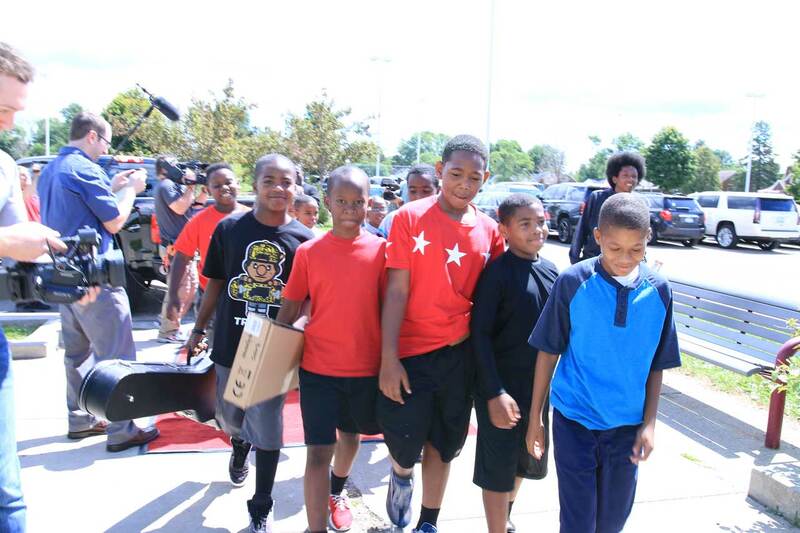 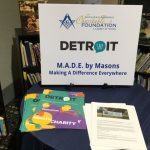 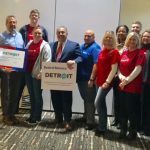 Currently undergoing renovation, S.A.Y. Detroit Play Center is a 2,500 square-foot digital learning and tutoring center featuring individual study rooms, a brand new football field donated by Lions quarterback Matthew Stafford, a rock climbing wall, and a basketball court. 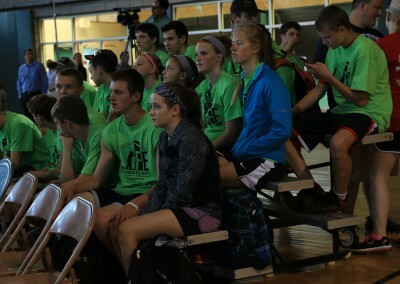 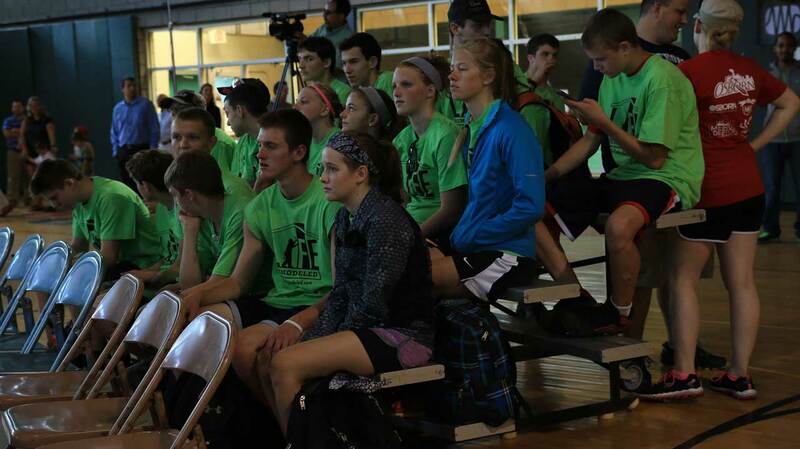 The center has taken over the formerly closed-down Lipke recreation center, and will open in September.